Regardless of what you personally thought of David Rockefeller, his death on March 20th of this year essentially ended the era of the old money, east coast establishment corporate philanthropist and ‘globalist’. His pride at being part of a “secret cabal” desiring a more integrated global structure and government with the US as its titular leader (a la George Soros of today minus the U.S. leadership part of course) was pursed on multiple fronts. Whether through the Council on Foreign Relations, the infamous Bilderberg meetings, the Trilateral Commission of which he founded or through his numerous commercial interests, Rockefeller was in essence the quintessential corporate foreign policy force of his time. His passing reminded me of the seminal article “Why Your Company Needs a Foreign Policy” by John Chipman, director-general and chief executive of the International Institute for Strategic Studies in the September 2016 issue of the Harvard Business Review. In the article Chipman argues that recent events such as Russia’s invasion of Ukraine and subsequent annexation of Crimea; Brexit; China’s assertiveness in the South China seas; ISIS in the MENA region and beyond; and many other events have dramatically increased business executives’ concerns about managing geopolitical risk as surveys have indicated. For instance, recall the cyber-attack on Sony and the North Korean threats over the company’s airing of the movie, ‘The Interview’; or how Google and Twitter in particular sided with the demonstrators in developing their platforms during the Egyptian uprisings and other so-called “Arab Spring” movements only to see those very same platforms turned against its citizens by autocratic and dictatorial governments. While many thought the importance of geopolitics had waned after the Cold War, it never really went away and now its back with a vengeance. Add to this the global destabilization and ramifications of the financial crisis in ’08 and the ripple effects still being felt. Furthermore, nations are increasingly reluctant to actively engage internationally, in part because of more ‘populist’ demands to focus internally, that sets a very destabilizing stage in which companies must act. Over the last several years, both our allies and enemies began to realize the U.S. could or would no longer be either counted on or feared to potentially intervene globally when events challenged regional or global stability. Now, with the election of an “America First” Trump Administration any such certainties regarding U.S. actions has become highly problematic. Independent groups, rogue countries and an increase in populist movements are all actually “eager to challenge the rules of the game” (Chipman). This is all happening at the same time as a dramatic increase in the “metanationals” (coined by Yves Doz, José Santos, and Peter Williamson, 2001). These “Corporate Nations” are essentially stateless, independent entities of which the notion of sovereignty is a quaint concept. Ironically, the U.S. now has the former CEO of one of the world’s largest companies of which corporate foreign policy is inherent in its DNA as the Secretary of State. We also have a President that has taken direct aim at many of these “Corporate Nations” in an effort to turn the clock back to the old GM philosophy of “What was good for our country was good for General Motors, and vice versa”. Not going to happen, these Corporate Nations will survive whatever Administration is in power. What does all this mean for corporations? It is even more critical to develop your corporate foreign policy. “This type of policy essentially aligns a firm’s international activities including media related, risk management, corporate social responsibility, government affairs and operational planning into a clear strategic framework” (Andrew Hammond, Associate at LSE IDEAS at LSE). 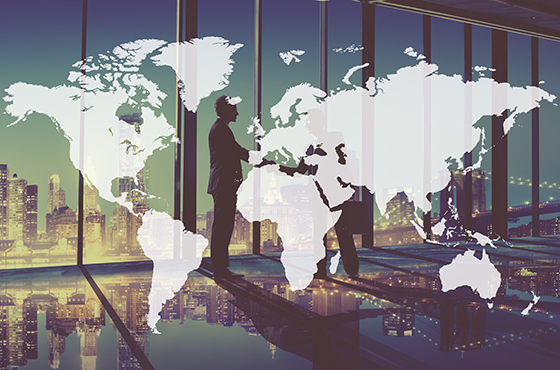 Today’s geopolitical realities will either be a threat or an opportunity but one way or the other they will have an impact on a company’s bottom line. A key element of this policy is the necessity to ramp up an organization’s geopolitical due diligence to complement the normal financial, legal, regulatory type. This includes getting serious about ‘actionable’ risk data analysis well beyond the staid country risk reports that are so popular but largely useless. An increase in attention to political risk at all levels, the development a greater understanding of how such risk will impact the company, an additional focus on the foreign and national security policy of a company’s targeted countries and regions, an increase in sensitivity to local cultural issues and potential civic strife are all elements of an integrated corporate foreign policy. The proliferation of international and state based regulatory bodies, use of sanctions and the other events above all pose inherent risks globally, regionally, country-wide, and even locally for companies. Microsoft and Uber for example as well as countless others have learned the hard way about ignoring politics in whatever country they were operating in. Add to this the destabilizing affect of non-state actors, failed or failing states, historical mass migration trends, global criminal networks, pandemics, cyber threats and you have the potential for perfect storm to capsize an organization. Corporations of all sizes and types face a wild ride through the treacherous global shoals of their day to day journey. Still to be determined is whether a new younger generation of business leaders such as Facebook’s Zuckerberg, Tesla’s Musk, Amazon’s Bezos, Microsoft’s Nadella, Alibaba’s Ma, and Google/Alphabet’s Page become a newer version of Rockefeller. Can they dovetail the current state of global affairs with their grand plans and enlightened self-interest in the development of their own corporate foreign policy?